After the First World War many British towns and cities became involved in ‘adoption’ schemes to provide help for the devastated battlefield. Many of the places adopted were on the Somme and Birmingham adopted Albert in 1920. Today Albert still has a ‘Rue de Birmingham’ and the almhouses paid for by the citizens of Birmingham still exist although with a different use. In April/May 2008 my article on the ‘twinning’ was published as ‘Birmingham: Godmother of Albert in Picardy’ in ‘Stand To!’, the journal of the Western Front Association (no 82). The five pages of the article are available below with kind permission of the WFA. Pope Leo XIII who coined the term in 1898.
the front line. In March 1916 it came within a new British sector of the front line and as such had a vital importance as an administration, control, billeting and supply town. It also provided medical facilities. For British troops moving up or down the line Albert was always associated with the landmark figure and its associated legend of the ‘Leaning Virgin’ on the dome of its basilica dedicated to Notre Dame de Brebieres. On 26 March 1918 Albert was taken by the Germans during the Kaiser’s final offensive. Fearful that the Germans could use the tower of the basilica for observation it was knocked out by a British shell on 16 April. The virgin fell but the war did not end! The national forest idea was linked to a possibility declaration that the area was a ‘red zone’ like the area around Verdun because it was too dangerous to rebuild. The inhabitants of Albert resisted this suggestion. realise how much more awful and appalling was the appearance it wore in and immediately after the war. Albert is still badly broken up but at least it has retaken shape in streets and squares of new houses where many only knew a pave road bordered with a high wall of rubbish, stones and brick that had been cleared off the track through the town and thrown up to either side…….It would seem easier to pull everything down and rebuild it rather than “restore” it as some say is to be done’. they acted as ‘marraine’ or godmother. BIRMINGHAM - WHERE TO ADOPT? The Birmingham Post reported on Wednesday 21 July 1920…. ‘M.Marcel Braibant (French deputy for the Ardennes) was recently in Birmingham and was present at a garden fete of the Anglo-French Society. On this occasion he told a moving story of the pitiful condition of the devastated regions. In one place in particular referred to by him the inhabitants are living in acute misery; for want of beds they sleep on straw. Their one cry is for work, but to provide work…..one must have money to buy tools, machines and materials, and the unfortunate people have scarcely enough to buy food. What they want as well as money is sympathy and friendship’. An editorial supported the suggestion of adoption as Birmingham had already contributed generously to a European Famine Fund. It had been suggested that a place beginning with the letter ‘B’ would be a suitable adoptee. The same issue carried a letter from Ethel Brooks, the chair of the Birmingham Anglo-French Society. She wrote…. 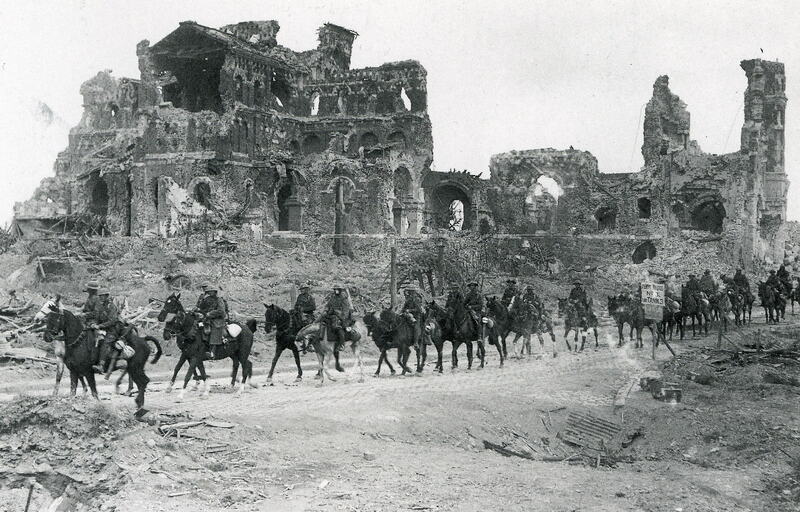 ‘We in this country who have not suffered from enemy invasion, and can still lookupon our beautiful country unspoilt, cannot realise the harrowing feelings of those who see only ruin and desolation around them. It is not sufficient for us only to sympathise with these afflicted people; we must render them practical help’. Lady Brooks, a magistrate, was the second wife of Sir Arthur David Brooks, a wartime Mayor of Birmingham. 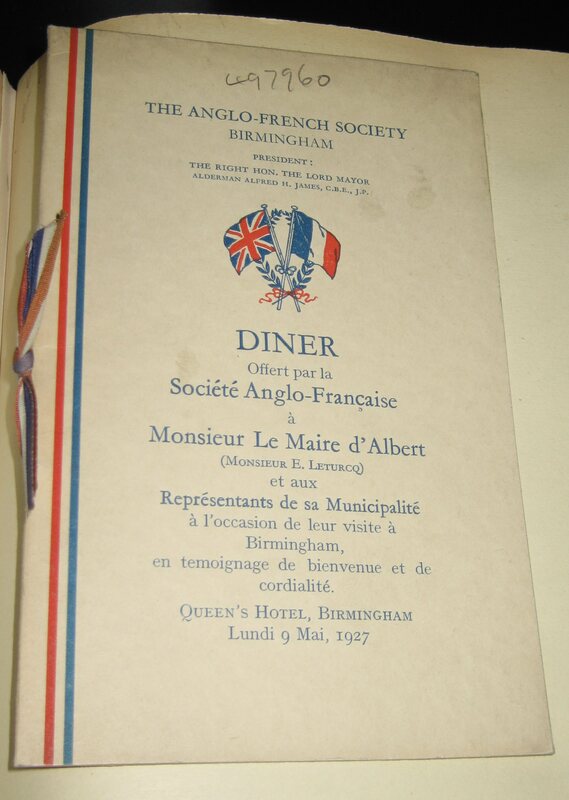 The Birmingham Anglo-French Society existed by November 1918 and was probably modelled on an earlier London society. Each year the Birmingham group ran social activities, lectures, rambles as well as an annual dinner and an annual fete. In 1925 it had 320 members. 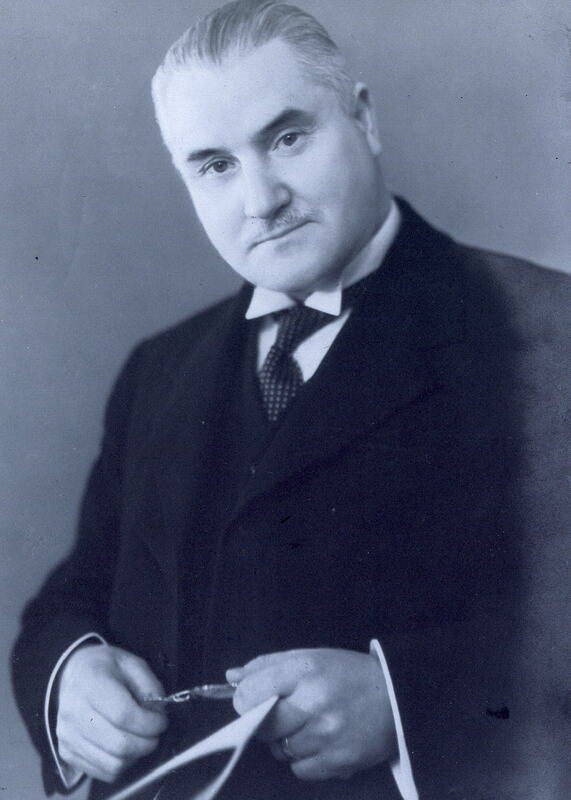 In the early 1920s the French ambassador was its Honorary President and the Vice-President was the Vice-Chancellor of Birmingham University, Sir Charles Robertson. by Alderman Sir David Brooks with Gerald Forty as the Honorary Secretary.Gerald Forty was a prime mover in the Albert adoption scheme. He was a Cheltenham-born businessman who had moved to the city in 1902 to manage a branch of his father’s firm. During the Great War (aged 37 at the outbreak) he became an officer in the Worcestershire Regiment and served at the War Office. He was also one of the founders of the City of Birmingham Orchestra. In 1934 he was awarded the Legion of Honour for his contribution to the Albert project. He died in 1950.
of Help in London to find out which towns were available. They were told that Albert was the most suitable. branches of engineering. The Birmingham Post journalist recorded the ‘pitiable plight of Albert’. friendship of this country for France’. 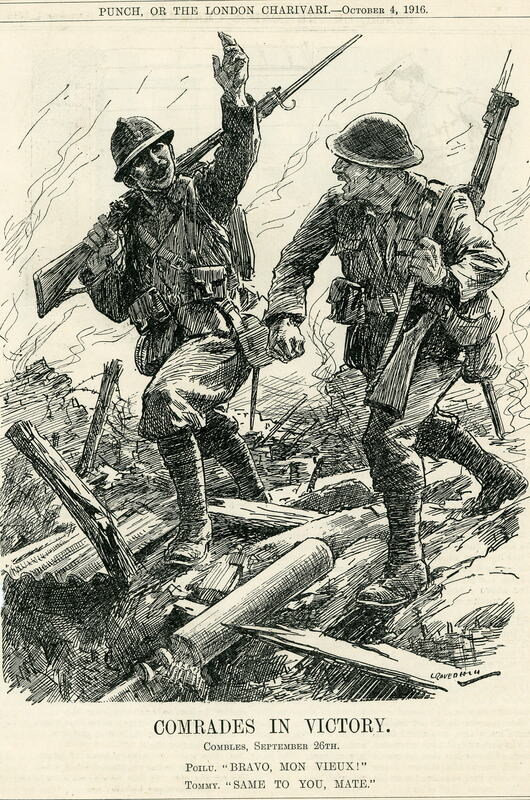 Bower’s appeal also stated that ’there must be thousands of Birmingham citizens, many of whose sons are sleeping their last sleep in the cemetery at Albert’. This was, as explained earlier, an exaggeration. the fund might be regarded as a stigma on our city’. He also noted that Birmingham was one of the last to fulfil its adoption obligations. The Birmingham Post made its own comment in an editorial on the same day…. ‘Several of these adoption schemes have now been completed and the and the new-built French towns possess visible and enduring memorials of their English foster-parents. Albert, however, has yet no such memorial gift of Birmingham…The sum is not a large one for a city of Birmingham’s importance’. means should have the chance of helping’. Two days later the Birmingham Despatch reported a gratifying response with a further £500. New donors were listed including…. 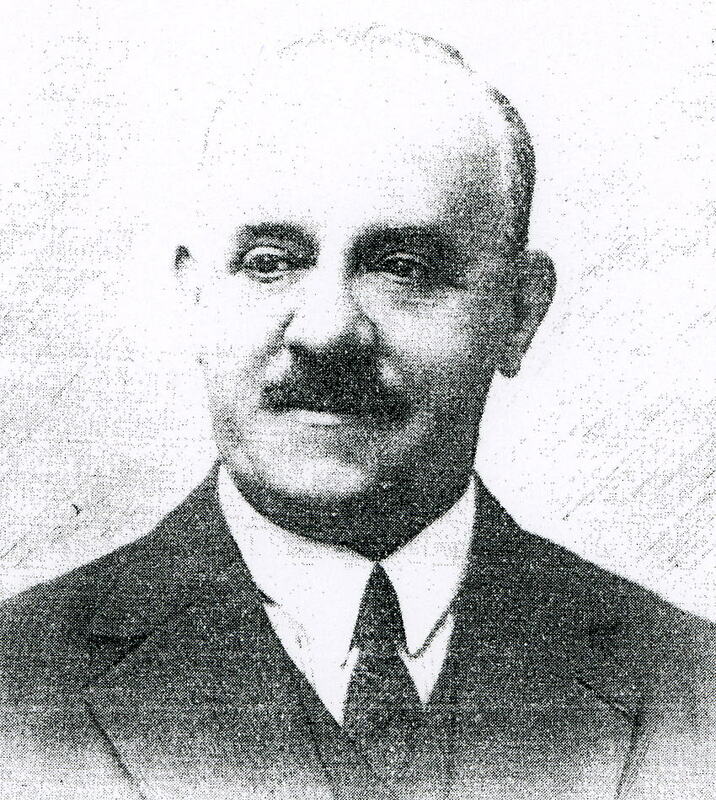 Leturcq (1870-1930; Mayor 1925-30), proposed a resolution of thanks to the city, which was passed with great enthusiasm. Albert’s Mayor also hoped that his opposite number would visit Albert and lay the foundation stone. Forty had not visited Albert for over four years and he was able to witness… ‘wonderful progress….in the rebuilding of the town, which was practically non-existent except as a heap of ruins…The Municipal Offices, which in 1920 were housed in a primitive wooden hut, have now been rebuilt in the principal thoroughfare…The Cathedral, famous for its ‘leaning virgin’, is still a ruin, and bears evidence to the terrible devastation wrought by the German bombardment’. The Lord Mayor now received a letter of gratitude from the French ambassador, M de Fleuriau, dated 3 March 1926. On 21 March the Lord Mayor received a copy of the resolution of the Albert municipality. Mr Gerald Forty and Mrs Forty (Hon.Sec. of the Birmingham-Albert Committee). insignia to Alderman Bower as well as Les Palmes Academiques for Lady Brooks and Gerald Forty. On 27 February 1927 Bower was knighted by the King. situated, to the main Bapaume Road was given the name ‘Rue de Birmingham’. Both were enduring symbols of the friendship between Albert and Birmingham. a new conflict. No evidence survives that can point to close official contacts between the two places after 1932 when the Mayor of Birmingham visited Albert at a time when President Lebrun visited the town to acknowledge its reconstruction. Martin Middlebrook suggests that the link was finally dropped in 1962 when the Communist Town Council of Albert made a new link to the East German town of Niesky, near Dresden. This link continues today with school exchanges. In the early 1980s a flicker of revival took place when the Mayor of Albert came to Birmingham and attended an Aston Villa football match. At the same time old soldiers made a visit to Albert. Veterans also appear to have maintained the Albert-Birmingham link. The annual reunion of the 1914-1918 veterans was held in the Birmingham Art Gallery to coincide with an exhibition entitled ‘I Was There’. In a letter to the Birmingham Post Edwin Gumbley, the Hononary Secretary, noted that the principal guest of honour was M.Claude Landas, Mayor of Albert. One hundred and fifty veterans attended (16) . Since 1976 Albert has been twinned with the Cumbrian town of Ulverston. 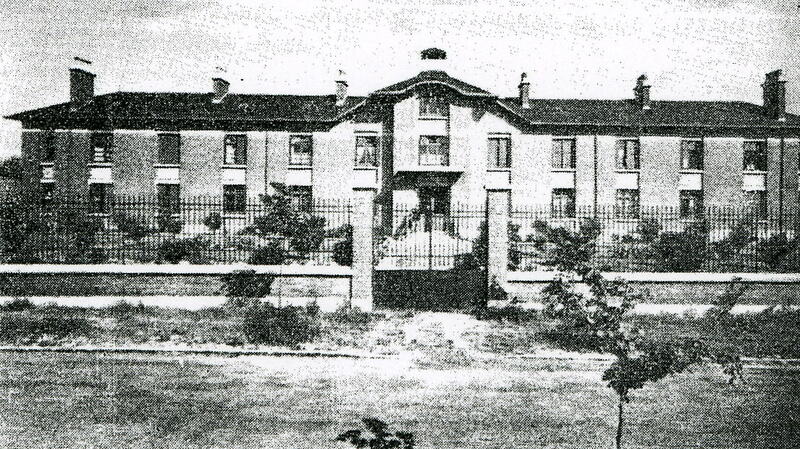 Today the ‘Pavilion de Birmingham’ no longer serves its original function; it is now the offices of the Hospital. How significant was Birmingham’s role as a godparent to Albert? The city of Birmingham probably contributed a sum of about £9000 towards the rebuilding of the damaged town; £5000 in cash and kind before 1926 and £4000 to build the ‘Pavilion’. In 2004 terms this total was worth about £332,000, a not inconsiderable sum of money. However, it does seem that Mayor Bower faced something of a struggle to reach the target figure with constant new appeals for support. In many ways Birmingham was a civic and middle class godparent to Albert with many donations from the ‘great and the good’ of the city although there were some workplace collections. In August 1920 the Birmingham Post reported that the James Watt Memorial Fund had already collected £13629; a similar amount in relative value to the Albert collection and over a shorter period of time. Day was already well-established and for the working classes of Birmingham the streets were a daily reminder of the scars of war. It was probably not easy to relate to an individual battle-scarred town in France even if it was the linked to the Somme. Albert itself had three other godparents which offered help, also commemorated with street names. Tientsin in north-east China had a French community; Bordeaux had avoided the physical damage of the battle zone; and the western Algerian town of Ain-Temouchent had many ‘pieds noir’ from Picardy.